DCII Tunnel Hark Yarn Dryer from China Manufacturer - Wuxi Weifeng Dyeing & Finishing Machinery Co.,Ltd. Our Hang Yarn Dryer is the exact dryer that can meet every modern requirement in your hank drying economy. It is most suitable for drying hank yarns of woolen, cottons, synthetic and any other blended fibers, Wide range of conveyor velocity ratios and automatic temperature control system are equipped to process different fiber quality of the hank yarns to be worked. Good thermal efficiency, maximum drying capacity, safe and easy operation are your assurance. ● Body being built with insulated panels with heat-resistant fiber glass material inside to ensure heat insulation. ● Adopt the system of the hot breeze and circumfluence, save the energy and wring the voile to dry to the tide even. ● Humidity extract halftone spread on the bottom, for even humility extract and also clean. 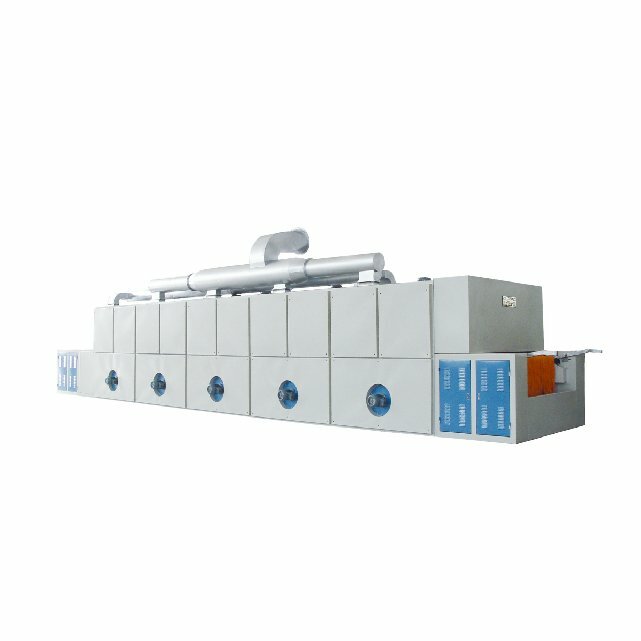 ● Speed of "main drive and the auxiliary drive" is adjustable by inverter, the super saver would apply to any hank-yam of any drying process requirement. ● A dehumidifier, which is installed at each chamber, help to meet the save up energy effect. ● Each two ovens was established to the independent auto temperature control system and the temperature keep the small deviation amplitude. ● Cooling fan installed at both ends to improve the working environment. ·Hank-holding bar of light stainless steel for easy handling. ● Belt conveyor, to transport hank-holding bars from the delivery and to the feed end.